The field is headlined by Abraham Lincoln Middle School 8th grader Ani Veltcheva. Veltcheva set a meet record of 10:38.57 in 2016 and was third as a sixth grader in 2015. She won the 3k at the AAU National Championships and was second at the USATF JO XC Championships as well last year. In 2017, she's 3-0 including sub 11 minute performances at the Disney Cross Country Classic (10:50.10) and Florida Horse Park Invitational (10:57.70). Enoch Nadler, who trains Veltcheva in his Team Florida Track Club group, says she is ready to lower the record even more Saturday. "Her game plan will be to get out hard and run from the front," Nadler added. "Ani loves to push herself and others. She won't sit back and let anyone else lead. Ani hasn't faced any competition all year so it's hard to know where she's at. But I know she's fit and ready to run strong and she'll be trying to break her state record from last year. Ani loves chasing records, even if they are her own." Nadler even gave us insight to Veltcheva's training log. 3 sets of 500 meters, 400 meters, 300 meters at mile race pace.400-meter jog after the 500s, 300-meter jog after the 400s and 300s for rest, 3 min rest between sets. "This is an early to mid-season workout that is designed to improve her economy and lactate threshold," he said. 10-15 min WU then drills and strides 10 x 3 minutes at lactate threshold with 30-35 seconds rest. Start the first couple slower and the last 2-3 can be quicker. "The one above is a mid to late season workout that is Vo2Max based and is more race specific work." 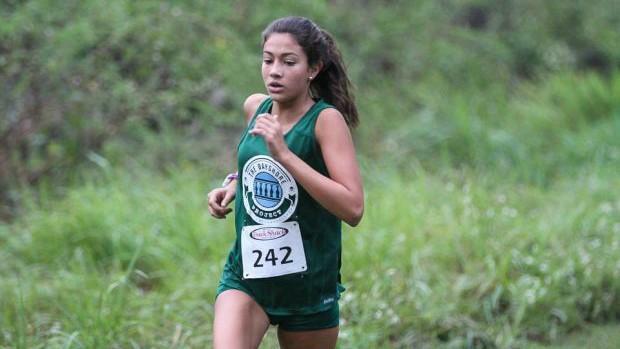 A look at our virtual meet projection shows Veltcheva's times over 30 seconds faster than the rest of the field, but there are several other girls that could be in the mix behind her including Arlie Rubin of the Bayshore Project. Rubin, was 7th at the meet last year and is the second fastest returner in the field behind only Veltcheva. She's also familiar with her nearest opponent, finishing second behind her at the Florida Horse Park Invitational, and the course, having won the FLRunners.com Invitational middle school race. Rubin's Bayshore Project team is one of the best in the field. 6th grader Madeleine Gear was 4th at the Florida Horse Park Invitational and recently won the Nature Coast middle school qualifier. Mary Ellen Eudaly was right behind Gear in both races finishing 5th and runner-up respectively and has run under 12 minutes two times this season. of Orange Park Junior High School was 10th last year and is having a fantastic season in North Florida. 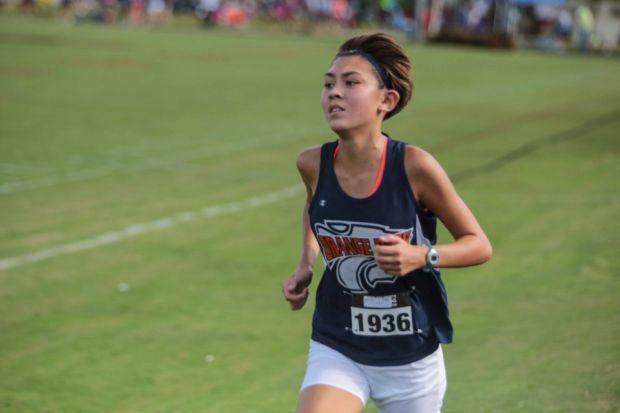 Chiang has won all four races she's entered including the Katie Caples Invitational and North Florida middle school qualifier where she ran 11:43.00 and a personal best of 11:32.00 respectively. Other girls to watch include Kaylin Herbet ,Rory Claussen, and Nina Starvaggi. 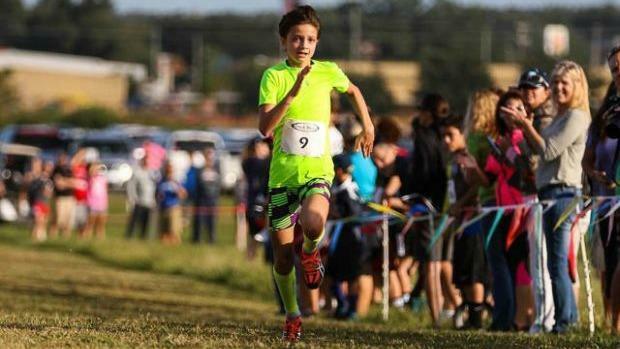 Herbet of Indian Trails Middle School was first in the open race last year and is coming off of a victory at the Gliders Cross Country Invitational. Her squad is one of the favorites for the team title. Claussen of the Shaldera Panthers in the Panhandle, made noise on the middle school scene when she won the Friday night middle school race at Pre-State in a new PR of 11:37.50. She followed that up with a win at last weekend's Destin MS Invitational. Starvaggi, is a key part of one of South Florida's best club teams, Miami Elite. She's run 2:29 for 800m and 5:32 for 1,600m on the track and has the speed to kick down the competition in the final stages of the race. Look for her to work with teammates Kalyn Gibbs, Lina Ajouadi, and Daniela Alvarez. Alvarez is one of the top private school middle schoolers in Miami while the others are the best in SOFL public schools. Coach Danny Aguas told us with that quartet anyone can be the team's number one runner and that they have all beaten each other head to head. Another South Florida athlete to watch out for is Jaellene Burgess who will be competing for Southwood Middle School. Emerald Coast Middle School was the top team last year, but only return two girls from that team. Bolles finished as the runner-up and are always deep, but are also preparing for a state championship run at the high school level. Time to make way for a new champion! Indian Trails Middle School in Winter Springs boasts a potent 1-3 in Kaylin Herbet, Caroline Wells, and Jolynn Rodriguez. Ruckel Middle School from the Panhandle always brings their "A" game despite only having two runners from last year's team, they are a podium contender. Lastly, don't sleep on Citrus Park Christian. Their high school program is the best in 1A and one of the best in the state. Coach Ray Friedman knows how to get the most out of the squad even at the middle school level including daughter Moriah Friedman as well as Lindie Mayer.